For those who like to keep it fresh and unpredictable in the bedroom, here is a novel idea from Dutch designer Lianne Siebring. 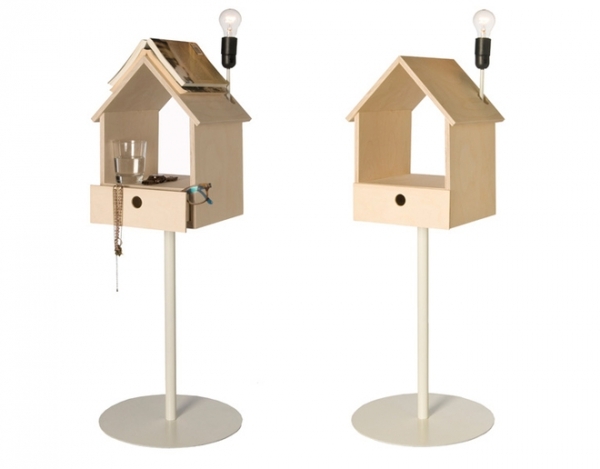 ‘Nighthouse by Night’ refashions a typical bird house into a hub of utilities, possibilities and ideas, bringing a playful twist to your nightstand and home décor. 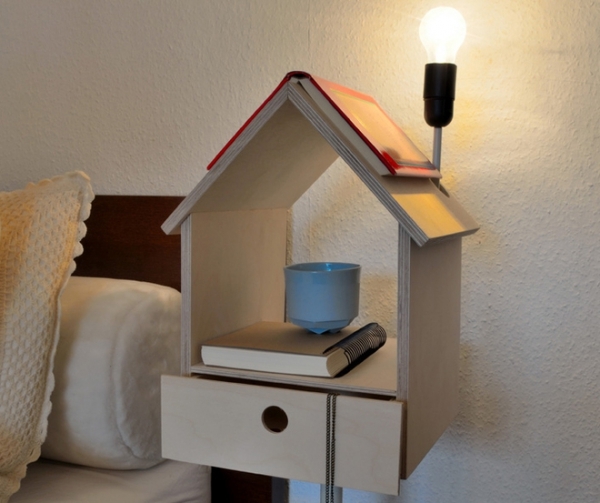 Incorporating a series of storage options and a bedside lamp into it, this birdhouse bedside table offers a unique expression of form and function in a wholly modernist vibe. Constructed out of birch plywood, the Nighthouse comes with a metal base that elevates it off the ground to sitting-eye level. This creates a clutter free footprint that adds space to your room while minimizing any risk of stubbed toes and clumsy accidents. 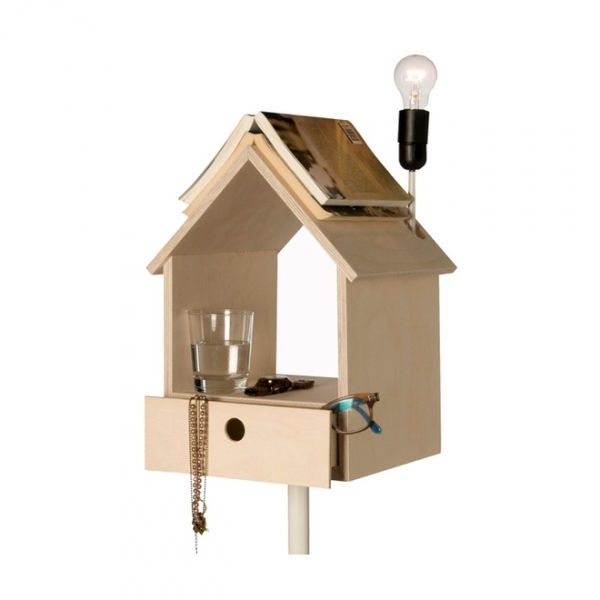 The pitched roof of the birdhouse offers a starkly simple yet utterly ingenious surface to store your night-time reading, letting you start where you left off the night before without ever needing a bookmark! A nifty drawer lets you store sundries and personals in a neat and compact manner, while the open birdhouse volume provides an open shelf area. The roof lamp is unfussed and to the point in its design, keeping things simple yet stylish in the Nighthouse.